Professional Disposables, Intl. 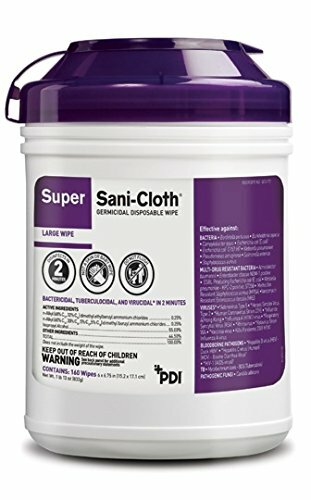 Super Sani-Cloth Germicidal Disposable Wipe, Large Canister, 6" x 6¾", 160/canister, 12 canister/cs. 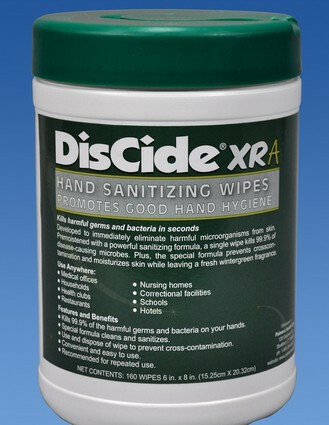 Ideal for daily use in fast-paced environments that require short contact times and broad coverage of microorganisms. The fast contact time allows for a quick room turnover. 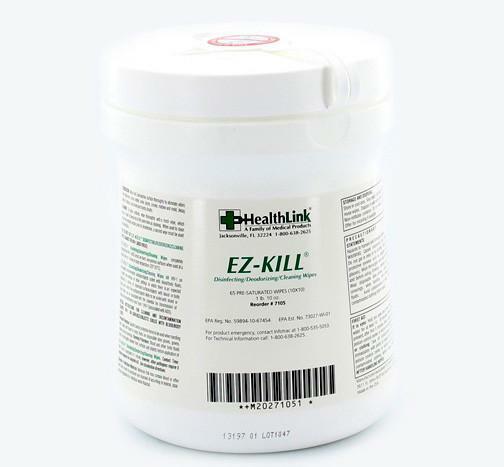 Effective against 30 microorganisms in 2 minutes, including: Multi-drug Resistant Organisms (MDROs), bloodborne pathogens, TB, and viruses. 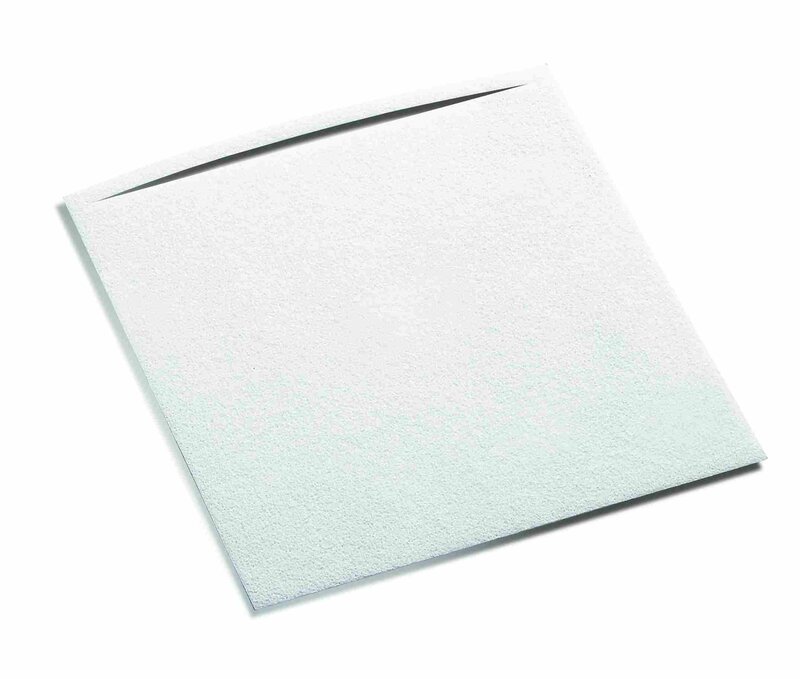 Compatible with a broad range of hard, non-porous surfaces and equipment commonly found in healthcare environments. Meets CDC, OSHA and CMS Tag F441 guidelines. 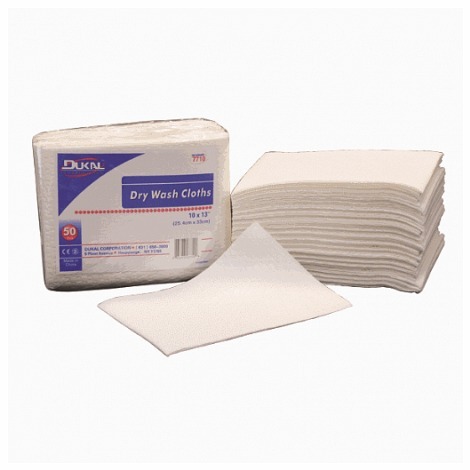 Manufacturer Name : PDI - Professional Disposables, Intl.